Imagine you’re sitting at your desk, sipping your morning coffee after having just arrived at the office. All is well until you notice a huge stack of papers lying on the corner of your desk. You quickly realize that today isn’t going to be anything near easy. You thumb through the papers, full of job schedule complaints, work orders, and screenshots of texts and emails between your dispatchers and field technicians. Sounds like the stuff of nightmares, doesn’t it? But if you don’t already take advantage of field service management software features, this is more than likely your reality. There are a few features that basically every FSM solution will contain, as these features make up the core functionality of this type of software. But keep in mind that there are a lot of FSM software vendors out there all offering different packages, add-ons, pricing plans, etc. What’s considered standard by one vendor may not be what’s considered standard by each provider on the market. While you can expect the following features in most systems, make sure to do diligent research to ensure your vendor offers all the features your business needs. In order to run a smooth and efficient organization, you’ll need to be on top of your schedule at all times. If you’re not, you might find yourself in a constant game of catch-up trying to resolve the issues a bad schedule can cause. For instance, a technician’s sick day could mean rescheduling several jobs last minute. While this is a stressful task with just a pen and paper, field service scheduling software makes it quick and simple. 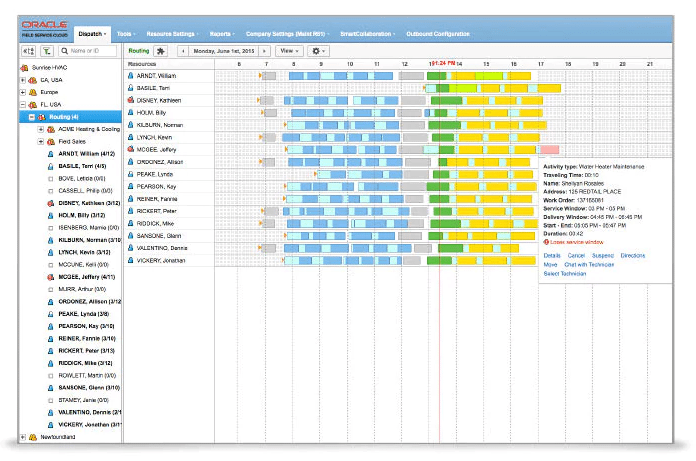 Gantt charts help users visualize resource usage. Depending on the system, FSM software may take factors such as availability, skill level and geographical location into account when assigning jobs. Some systems do this automatically while others use an algorithm to suggest technicians for certain jobs. Then, once they’re scheduled, your technicians are automatically notified of what and where that next job is. Like everything else these days, work orders have gone digital. Who wants to work with paper work orders anyway? Work order management is a standard feature of FSM software that streamlines the process and eliminates confusion. After a job is received and assigned, the technician who was assigned it is recorded on the work order, so everyone can see who was responsible for completing it. Further, this feature allows technicians to document their work at a particular job. Techs can take notes, record video and audio, and take photos. This way, details of the work can be easily accessed by office staff or different technicians in the future with no worries of bad handwriting or lost notepads. Then, after your technicians complete a job, they can mark it as such in the system. That way, nobody needs to question if a job was actually completed; all they have to do is check the system to see the status of all of your work orders. And even after work orders are complete, they’re saved so you can view them later if need be. But double check what your vendor’s data storage plans look like to make sure you can access documentation from as far back as needed. Just as everything either has or is moving to the digital realm, so too is everything moving to mobile. However, due to the nature of the field services industry, FSM systems often provide a mobile-first interface. Just about every cloud-deployed FSM software has a mobile technician app that provides access to all of the system’s most important features. Using an FSM system’s mobile field app, your technicians can view their schedules and receive dispatches on their phone, in addition to marking work orders as complete as soon as they finish the job. 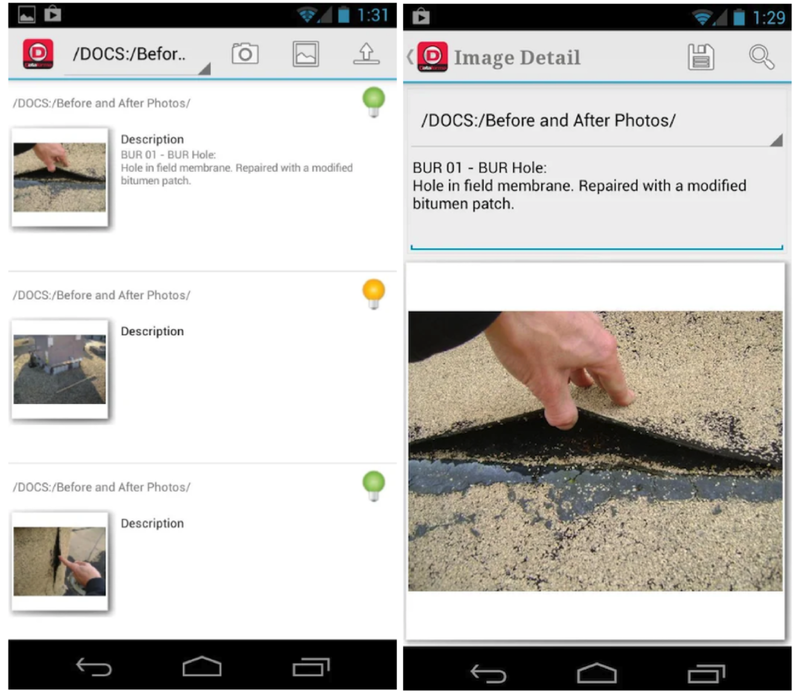 Mobile apps make it easy for technicians to access the information needed in the field. Mobile interfaces also give technicians access to instructional resources to help them in the field. They can use these resources to more efficiently diagnose and resolve errors, especially in complex equipment. Mobile apps can provide a messaging interface as well, which we’ll discuss in the second half of this article. FSM can also help in your asset management efforts by monitoring the inventory of the parts your technicians use on a daily basis. Since your field technicians likely use many of the same parts to complete various tasks and repairs, you need to make sure that those parts are well stocked at all times. FSM software with parts inventory management features helps you monitor those inventory levels. The system records whenever a technician takes or uses a part, which keeps a real-time record of your stock. Many FSM providers send an alert once the inventory for a certain part reaches a predetermined level, so you always know when you need to order more. Moreover, many systems integrate analytics with their inventory software to create demand forecasts. This gives office staff insight into which parts are used the most and when they should expect to reorder. Customer management should be important to any business, but especially to field service organizations. Whatever your industry, your main goal should be to satisfy the customer. That’s why it’s so important to have an efficient way of managing your customer base and their information. First, field service management solutions offer a customer database, which contains your clients’ contact information, past work they’ve received and any notes surrounding special considerations. With this information in hand, you can learn from your past work orders, continuously improving both your customer service and customer satisfaction. Some field service applications also provide a client portal. This allows customers to access sign off forms, change appointments and fill out surveys.  Clients can also provide their cell phone number to receive texts with the ETA of their technicians. All of these resources can be utilized with little to no effort on your end but do a lot to make your customers feel valued. We all want, and frankly, need, to be data-driven in today’s world in order to succeed. Built-in reporting features help you analyze your data, so you can find the trends that’ll help you optimize your business. FSM reporting helps you analyze all of your data, whether it’s related to how efficiently your scheduling system is working, how long it takes for each technician to complete certain jobs or even your customer service efforts. FSM providers that include reporting features give their customers the best chance to make their field service operations as effective and efficient as possible. In addition to providing managers with the insight needed to improve business, top systems use analytics to bolster the rest of their offerings. For example, some systems use predictive analytics to identify technician arrival and job time with 98 percent accuracy. This allows managers to schedule more jobs more accurately without any additional effort. A built-in messaging system is a helpful feature that keeps all of your field service-related communication within the FSM software. Not only does this make it easier to track communication, but built-in messaging allows for capabilities texting can’t provide. For instance, built-in messaging lets you tag technicians on specific work orders. Technicians can also use the messaging component when out in the field to send a question to the entire network to quickly find an answer. Many programs allow users to see where their technicians are in real time on a map interface. One of the more advanced features available in some FSM software solutions is automated route planning. 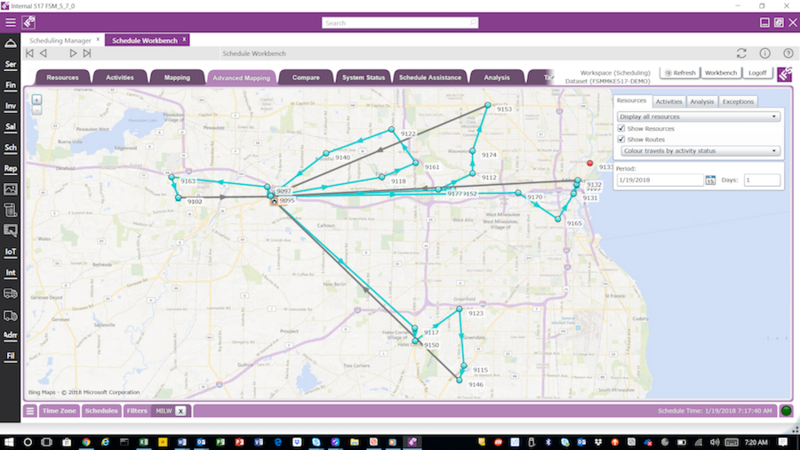 Aiding in the effort to maximize your field technicians’ time and fuel, route planning can reveal the best routes to take to complete a set of jobs. It works by tracking technicians and their vehicles in real time using GPS. Many FSM solutions use this feature to offer turn-by-turn navigation and to recommend the closest technicians during job scheduling. This feature can also help office staff hold their technicians accountable when it comes to managing their time. Although this list certainly doesn’t represent all of the features available from various field management software vendors, it does include the most common and important features available. Depending on your business’s unique needs, however, you may realize that you need a feature that isn’t on this list. When evaluating field service management software companies, make sure that they not only provide the features listed above, but also any unique ones that your business requires. Make sure you create a thorough list of requirements, as it will help you determine which solutions might be a good fit for your business. We suggest taking a look at our FSM software requirements template if you need some help getting started. A thorough list of requirements is the best way to ensure that you find the best-fit system that’ll improve your field service management for years to come. What features do you look for in a field service management solution? Are there any specific capabilities necessary for work in your industry? Let us know by leaving a comment below!